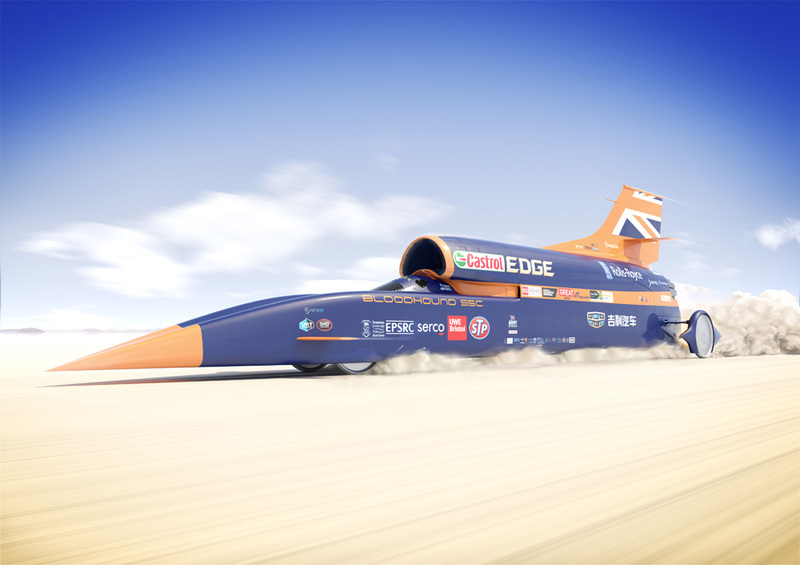 The Bloodhound Project is moving on to the next stage in its quest to set a new world land speed record — not to mention its ultimate goal of hitting 1,000 mph. After a successful run at Cornwall Airport Newquay in October 2017, where the Bloodhound Super Sonic Car hit 200 mph, the team is gearing up for a new milestone. In October 2018, the car heads to the Kalahari Desert, where it will run on a specially built dry lake bed race track at Hakskeen Pan, Northern Cape, South Africa. The goal is to reach 500 mph. But reaching this speed represents a significant challenge for the car and its crew. According to the Bloodhound Project, at speeds between 400 and 500 mph the car will begin to be controlled by the vehicle’s aerodynamics, rather than the interaction of the wheels with the desert surface. This is the point at which the car will be at its least stable. For this event, known as the Bloodhound 500, the Bloodhound Super Sonic Car will get its power from a Rolls-Royce EJ200 jet engine, which produces a peak thrust of 20,000 lbs. (90 kilonewtons), equivalent to 54,000 thrust hp, or the combined output of 360 family cars. For the first time, the car will run on its solid aluminum wheels, which have been specially designed for the desert surface. They measure 900 mm in diameter and weigh nearly 210 lbs. each, and are designed to spin at up to 10,200 rpm — that’s more than four times faster than wheels on an F1 car at top speed. The wheels have a V-shaped keel that digs into the alkali playa (baked mud) surface by 25 mm when the car is stationary. As speeds increase, the wheels will rise up out of the mud surface and plane in much the same way as a speedboat rides up on the surface of the water. At 500 mph and above, just a few millimeters of metal will be in contact with the desert surface, and the giant aluminum discs will act more like rudders than the wheels on a conventional car. Is This the Future of New York City’s Transit Hub?